Having been an integral part of everyday life, folk customs, rites, traditions of celebration became a means of preserving Ukrainian identity. 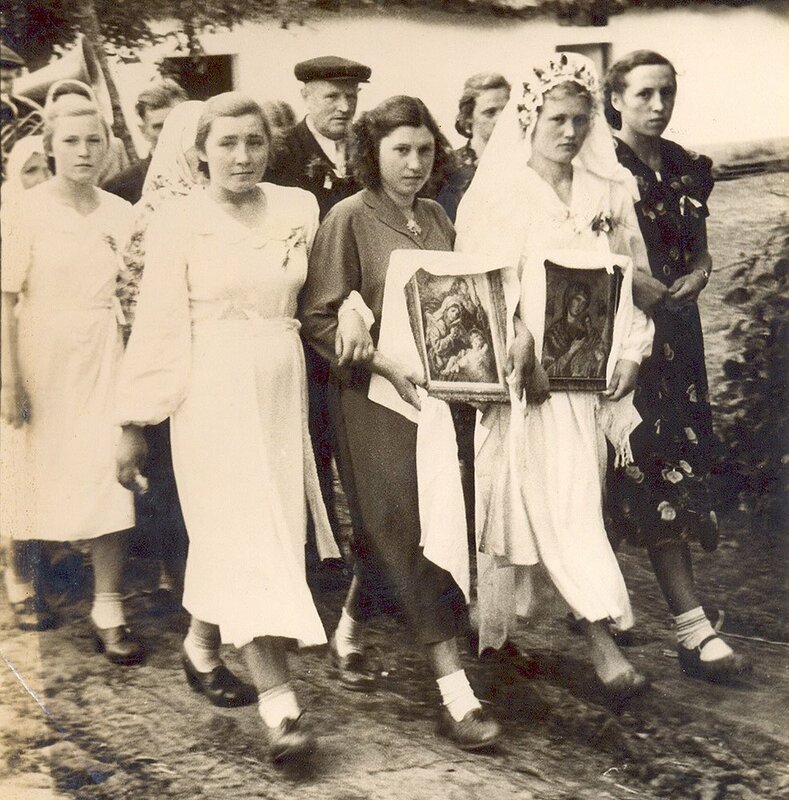 They were of great importance for the establishment of national consciousness of Ukrainians. They reflect not only ethnic peculiarity, but also aesthetics, moral values, mentality and history. The customs of the Ukrainian people are connected with the traditional outlook that has been forming for centuries and has preserved the traits of pre-Christian beliefs. 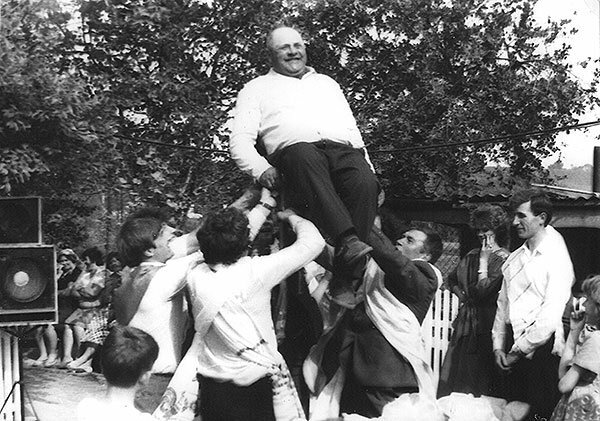 Changes in the conditions of life influenced the changes in the traditions of celebration. There was a constant transformation of ceremonial actions. Some of their elements disappeared. Others replaced them, but the very content and sacred meaning coincided. The very calendar ceremony is the oldest one, closely related to the agrarian way of life, with its roots it reaches the primitive pagan beliefs of the Slavs, our ancestors. Significantly later, the church took on a system of agricultural holidays, which had already developed, and gave it a Christian coloration. The calendar ceremony characterized the transitional or staged moments in the life of nature or the work of people. The holidays and ceremonies of the calendar cycle regulated all spheres of life of the Ukrainian peasant, i.e. industrial, social and family spheres. Their main goal was to prevent natural disasters and impact the yields. The calendar ceremony is divided into four main cycles: winter, spring, summer and autumn. In the agrarian calendar of Ukrainians, there was no sharp distinction between seasons. The calendar cycle is full of rites and signs. Each traditional holiday was dedicated to the respective types of agricultural activity. Green week. Vinnytsia , 2012. Photo by I. Batyrieva. Summer ceremonial cycle was the most diverse one. 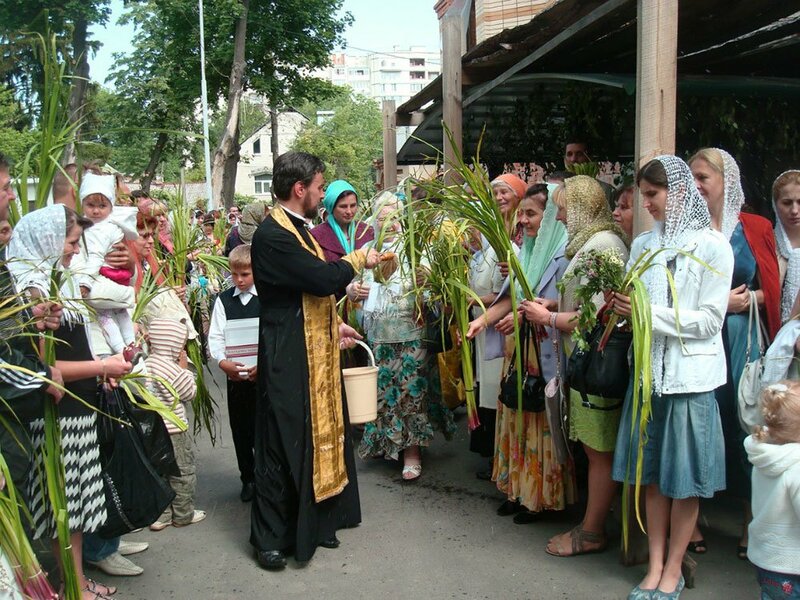 It lasted from Rusaly (the end of May), the Green week (Trinity) until the first holidays to honor the new harvest (Makovey, Apple Feast of the Savior). Summer celebrations have incorporated two different motifs: the worshipping of the main elements of nature that were life giving to the farmers - the sun, water and plants, the combination of manhood and womanhood, procreation, and therefore, the preparation for the autumn wedding and marriage season. The central place of the summer calendar was occupied by the Kupala ceremony (a pagan fertility rite later adapted into the Orthodox Christian calendar by connecting it with St. John`s Day), which combined those both motifs. The autumn cycle of calendar holidays does not make a whole system. Their content used to be mainly determined by the completion of all fieldwork and preparation for the winter. Ceremonial actions were mostly taken to the premises, acquiring the form of vechornytsi (evening parties). One of the key events at that season was Kalyta (Andriyivsky Vychornytsi as the holiday to honor the sun, which rested until spring). Autumn ceremonies were also directed at family life. 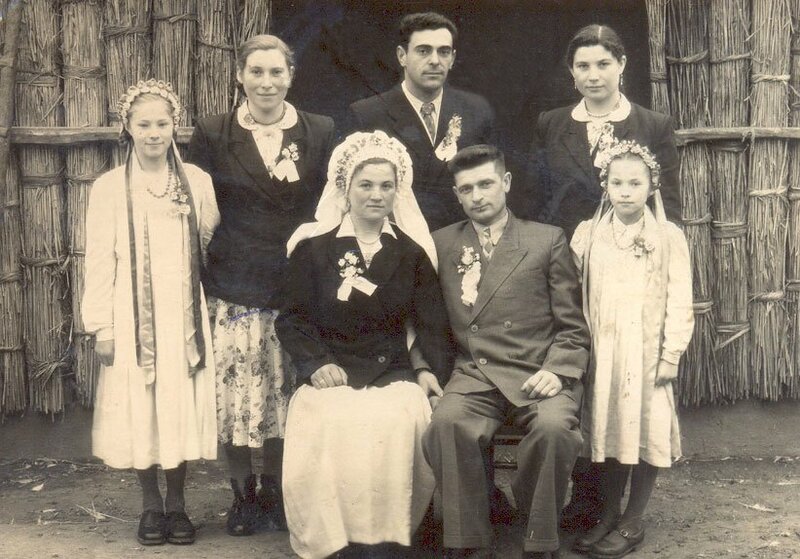 Weddings had begun since Pokrova. Other holidays were also associated with marriage or fortune telling (Dmytra, Introduction, Kateryny and Andriya). This is still popular with celebration of famous folk holidays. The winter cycle combines agricultural and family motives. It started with the Presentation of Mary (December 4), when, according to popular beliefs, "summer was entering into winter." From that very day, the farmer considered the land began to rest and could not be touched by a shovel until the Annunciation. Winter rites were also combined with the myths about the birth of the universe, so the most important ceremony in winter was the Christmas cycle of holidays (from Christmas Eve to Epiphany) associated with the rebirth of the new sun. It included the most rituals, with which people tried to provide health, happiness and prosperity. 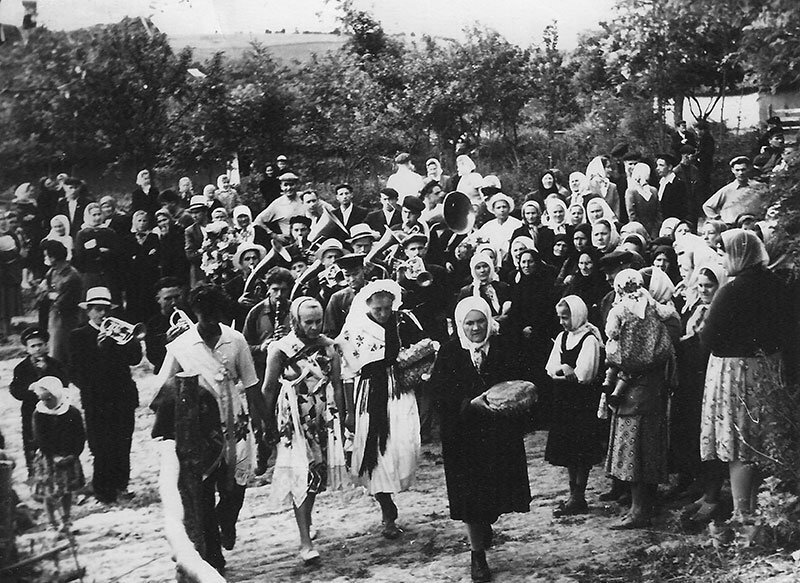 At that time, Ukrainians were caroling - singing ritual songs, informing about the birth of the world (Christian carols are about the birth of Christ), and shchedruvaly (sang shchedrivky) - they wished the owners of dwellings and their families a rich life and a generous harvest. Many rites were targeted at honoring the generations. 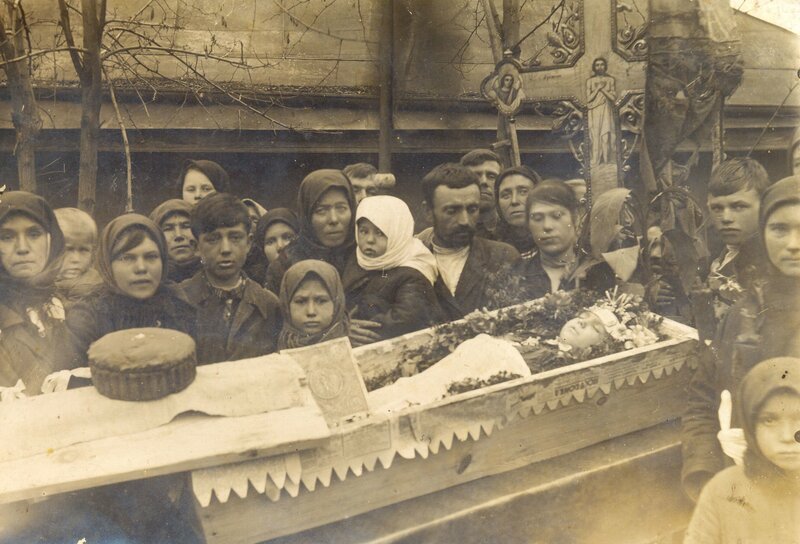 At Christmas Eve children were sent to visit their relatives and friends with gifts and kutia (traditional Christmas Eve dish), prayed for the souls of the dead. The winter cycle lasted till the transitional holidays, which announced the coming of spring, - Stritennia (Presentation of Jesus at the Temple) and Obretinnia (the First Finding of the Precious Head). The spring cycle of calendar holidays was aimed at planting the future crops. 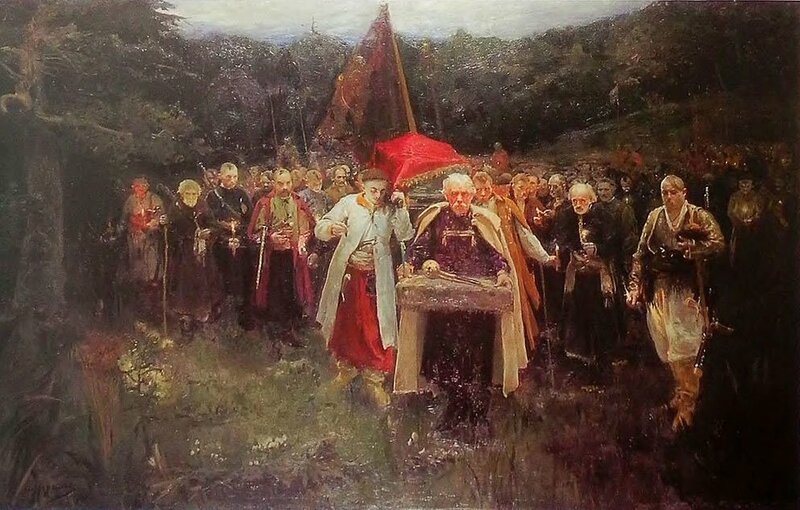 Hence, ritual-magical actions, connected with calling of spring, warmth, birds, rain (Stritennia, Obretinnia, Iavdokhy, Teply Oleksa and Annunciation) were of great importance. The day of Iavdokhy (the day of Eudokia of Heliopolis, marked on March 14) was considered the relative beginning of spring. 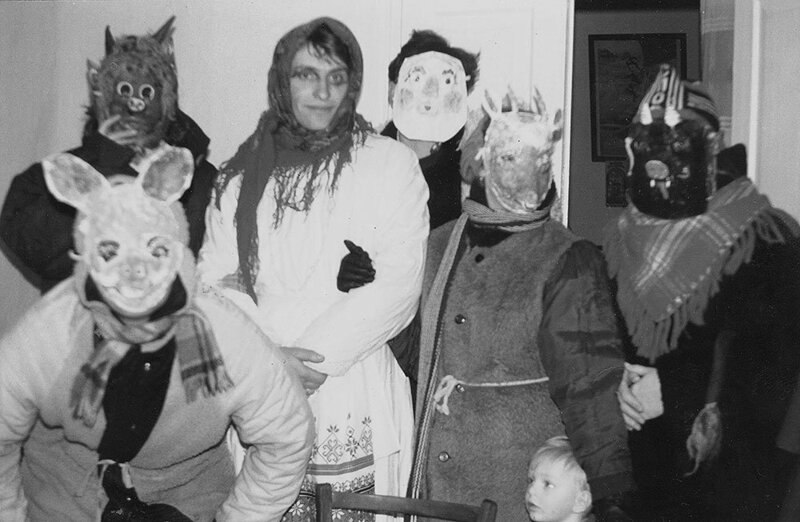 It coincided with the beginning of the Slavs` New Year. However, the main spring holiday was always Easter (Resurrection of Christ), which united the ancient pagan and church rituals. Easter holiday falls on spring equinox and symbolizes the victory of the Light over the Darkness, the Day over the Night, and the Warmth over the Coldness. 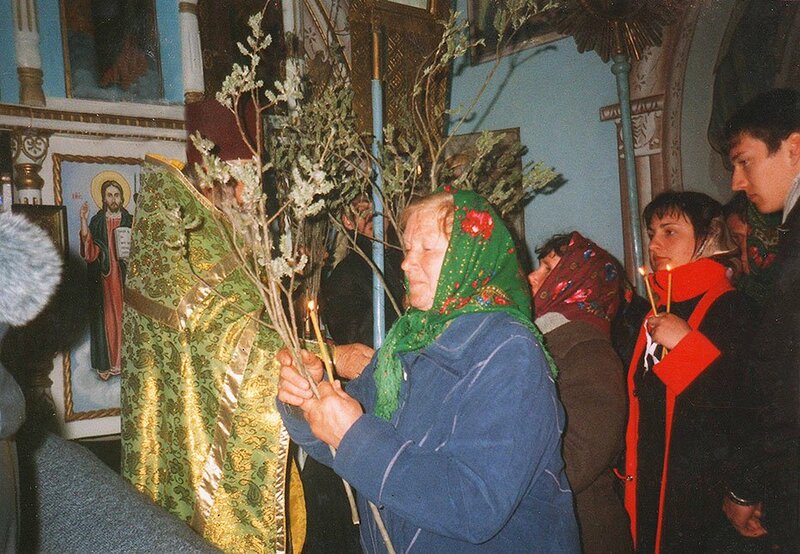 The Easter ritual cycle consists of Holy Week with Palm Sunday and Clean Thursday, Easter and Bright Week with Radunytsia (veneration of ancestors) and Easter Monday (Smigus-dyngus). Spring is also a period of the awakening of human feelings. 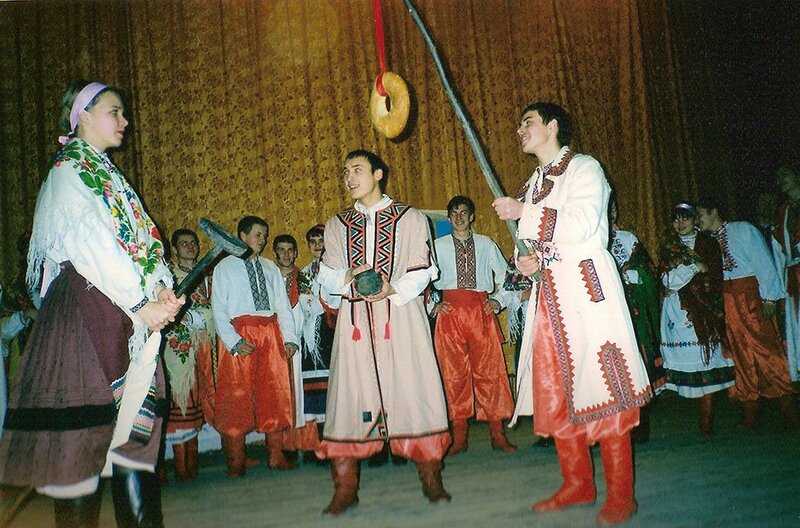 Ceremonies were directed at the entertainment of young people: fortune telling, safeguarding, ritual singing of vesnyanky, hayivky (Slavonic ritual songs for calling spring), and playing circle-dances. The girls endowed the boys with pysanky (decorated eggs). Alongside the agricultural theme, love-marriage motifs, such as courtship, matchmaking, appeals to marry, "rehearsal" of couples, reflecting the hopes of girls for successful marriage are traceable in ritual songs, circle-dances and games (“Proso", "Vorotari", "Volodari", "Zelman", "Navchu Ya, Navchu", "Zosia-Chornusia"). Family holidays stand out in the ceremony of the Ukrainians. The Ukrainian family ceremony covers the customs and rites, where actions, symbols and attributes from various epochs, were closely interwoven. They might have provided happiness, wealth and well-being of the family as well as protected its members from evil forces. The traditional family ceremony includes rituals associated with the biological cycle of human existence: birth, marriage and death. Accordingly, the family ceremony - maternity, wedding, funeral-memorial - sanctified the transitional or staged moments in the life of the community and the individual (age initiations). Rites of age initiations belong to a large group of rites to enable a person to move from one social or age group to another. During the rituals of initiation, there was stage-by-stage separation of a man from the old environment, his break with the past, the entry into society once again, but in a new status. Mother with a child. Transcarpathian region. Photo by E. Haiova. The appearance of the child to the world was accompanied by the maternity ceremonies. Maternity rites were presented with magical actions and amulets, because the sacrament of the appearance of the child was considered the actual recognition of the family. The childless family was traditionally thought inferior. Rites of the birth consisted of three closely related cycles: pre-natal, maternity and post-natal. The first two cycles were rites, representations, beliefs and ceremonial actions aimed at preserving pregnancy and ensuring successful delivery. Post-natal ceremonies were aimed at the protection and cleansing of the child, mother, father, baba-povytukha (midwife, usually an elderly woman who performed delivery of a baby), as well as joining a newborn to a family, community and church. 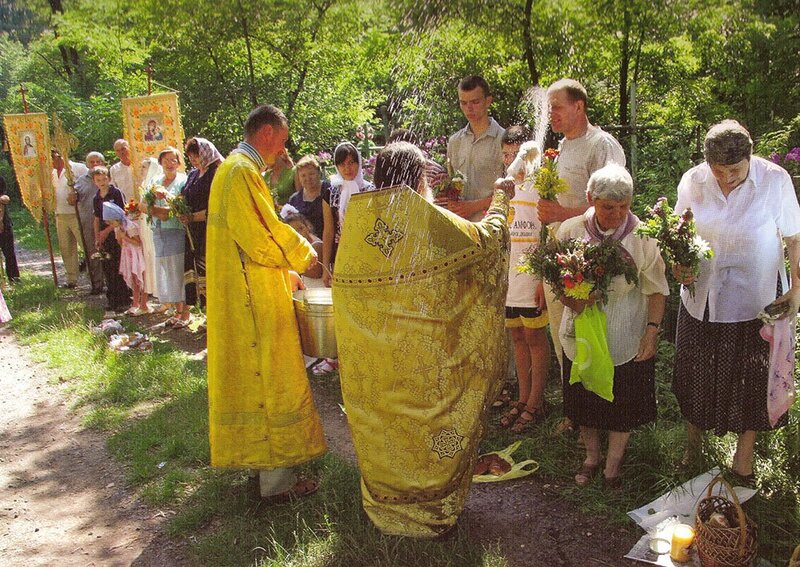 The main performer and coordinator of those rites in Ukraine was the "baba" (baba-povytukha), who was not only the maternity ward, but also a kind of mediator between a newborn child, on the one hand, and a family, community and church on the other. 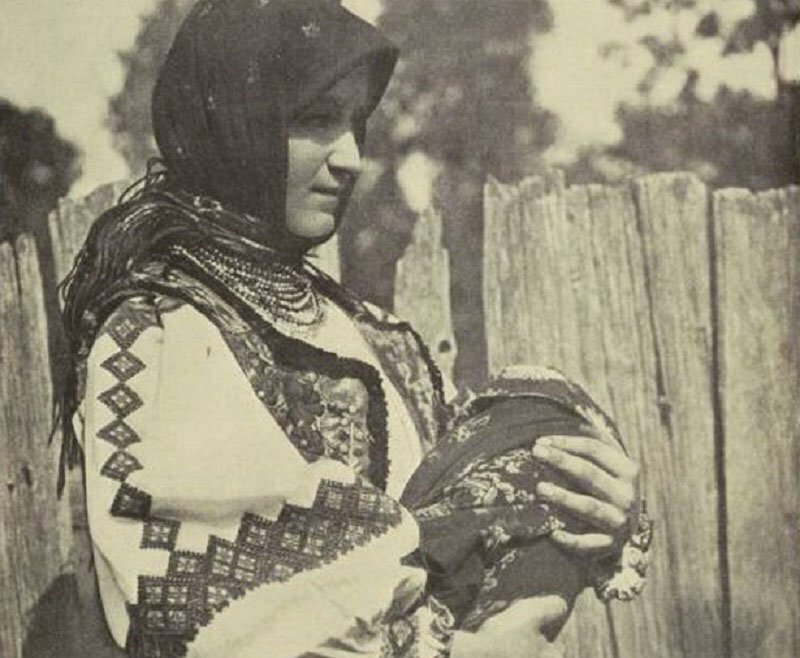 Maternity ceremony of the Ukrainians inherited bits of pagan beliefs with the system of symbols: water, fire, and earth, objects of flora and fauna, food, drink and metal products. For example, in a ritual of cutting umbilical cord on an ax or weaver's crescent; ritual of "zlyvky" (water purification of baba-povytukha and woman in labor); the child's first font (where sacred potions, honey, milk, the root of miracle-strength and coins were added). Other maternal rites had also an important socializing role for the child. 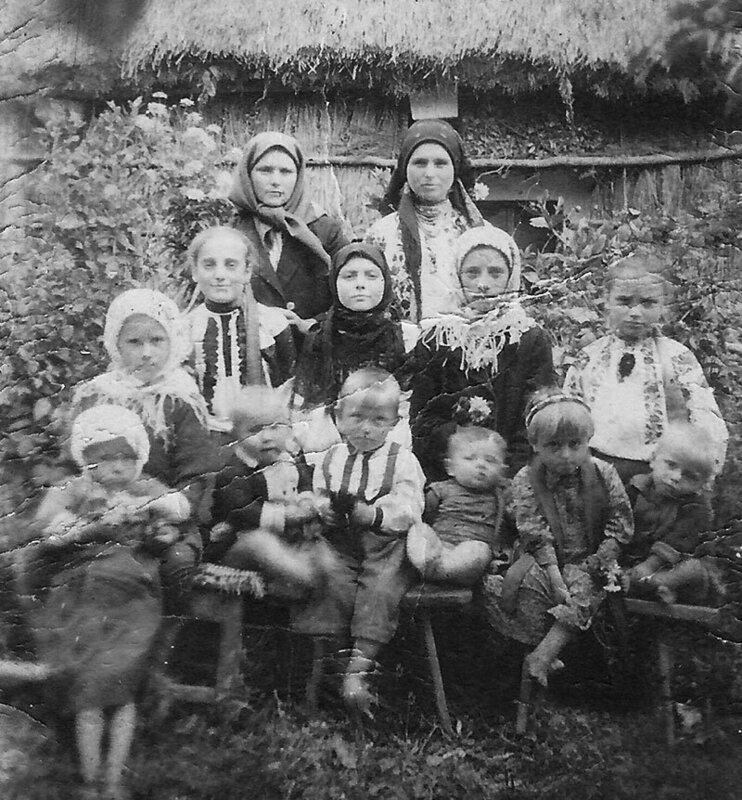 For example, giving the name to the child (it was given in accordance with the customary right of Ukrainians, depending on the circumstances of the delivery, had little magic, prophesied the fate of a child), the very delivery (the holiday of the newborn to a family), the baptism (bringing in the newborn to the church) and the rites of the first year of life – hair cutting (for boys), the first plaiting of braids (for girls). Wedding custom was an extensive ceremonial system that accompanied the creation of a new family. It combined three cycles: pre-wedding (matchmaking, engagement, bride-shows, preparation for the celebration), the wedding itself and period after the wedding. The rites that stretched over time from a few months to a half of the year were intended to introduce the families of matchmakers, prepare a new economic unit and introduce it to the community, prepare the young couple to new social and family responsibilities. The wedding included many ceremonies. 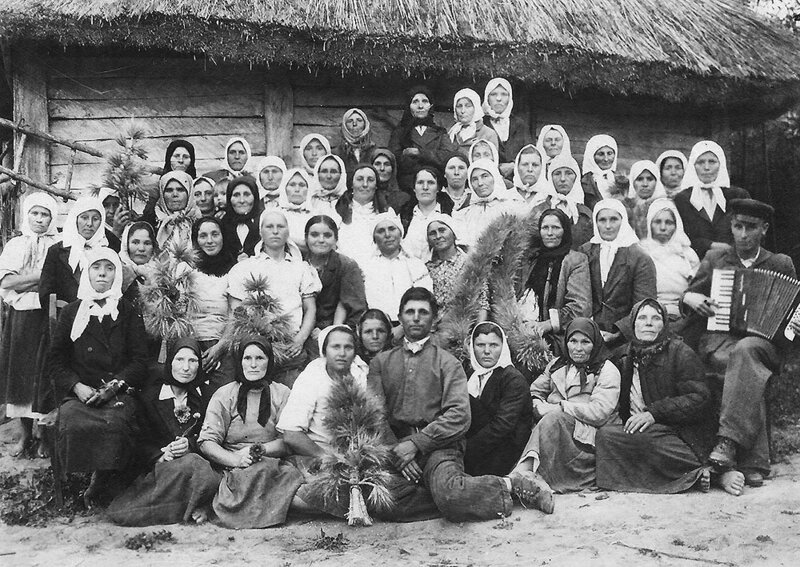 The main of them were divych vechir, party for the girls only, the baking of korovay (the ceremonial bread) and the invitations of the guests. These ceremonies were carried out separately in the homes of the bride and bridegroom, since their families had not yet been united. After that, the wedding itself began. It was a dramatic action, accompanied with music, singing, dancing, playing games, becoming a kind of folk holiday. "Komora" belonged to the archaic elements of the wedding. It was a cycle of rites of first marriage night, which was conducted until the middle of the 20th century. It intended to demonstrate the chastity of the bride (“perezva”). Important elements of the wedding were the coverage of the bride, the sharing of korovay and the gift giving of the guests ("perepiy"). All those stages of the wedding were the rites of the transition: the joining of the bride to the community of women and joining a daughter-in-law to her husband's family. An important part of the wedding ceremony was church sanctifying of marriage. It is still relevant. Wedding ceremonies were a kind of "dedication" of two young people to full-fledged adult community members. The funeral and memorial ceremony consists of funeral and commemoration. They accompanied a person after the death, and were directed at ensuring the irreversible transition of the soul of the deceased into the world of ancestors, and protecting the living from the harmful influence of the spirit of the deceased. The whole community used to help the family of the deceased. When a person died, all relatives and fellow villagers were informed about it. At the end of the funeral, a meal was arranged for all those present (memorial ceremony), where a mandatory ritual dish was kolyvo - boiled wheat and honey. According to the beliefs of the Eastern Slavs, "the deceased had the same needs as a living person, especially the need for food," and therefore at the memorial table a spoon, a glass of water, food were put for him. Kolyvo was the sacrificial "food of deceased ancestors". It was also cooked for the memorial days. The marking of separate memorial days (the third, the ninth, the fortieth) was associated with folk ideological perceptions of life and death, because it was believed that on the third day the soul left the body, on the ninth day the spirit departed, on the fortieth day the person ceased to exist. 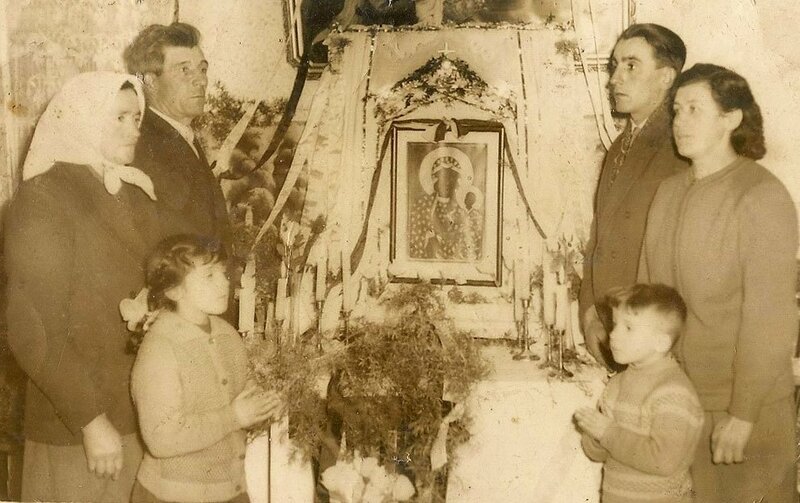 In addition, the commemoration of all deceased relatives took place during the year round on calendar days (Christmas Eve, Radunytsia) and special commemorative "Parental Saturdays". The commemorative customs are a vivid manifestation of the pagan cult of the ancestors on the Ukrainian lands. Balushok V. Rites of initiation of Ukrainians and ancient Slavs. Lviv. New York. Publisher: M.P. Kots. 1998. 216 p.
Borysenko V.K. 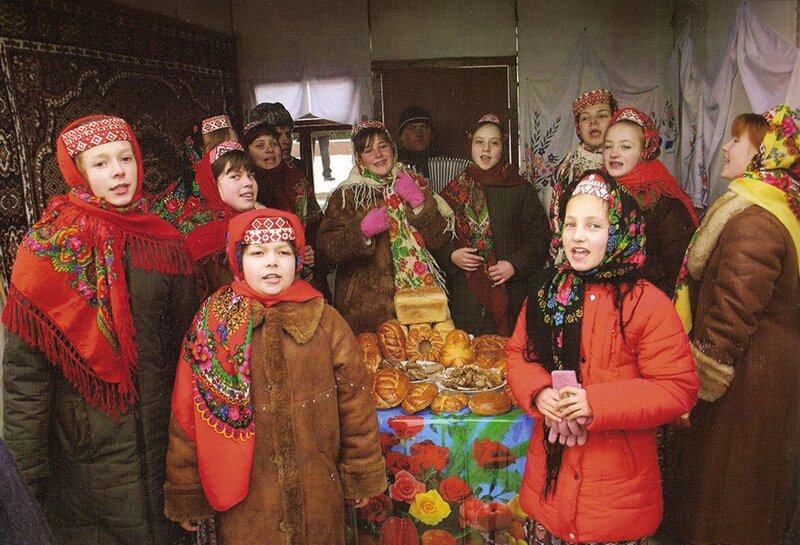 Traditions and vitality of the ethnos: on the materials of the festive ceremonial culture of Ukrainians. Kyiv: Oberih. 2000. 191 p.
Voropay O. The habits of our people. Ethnographic essay. Kyiv: Oberih. 1993. 590 p.
Skurativsky V. The Ukrainian Folk Calendar. K.: Technika. 2003. 384 p.